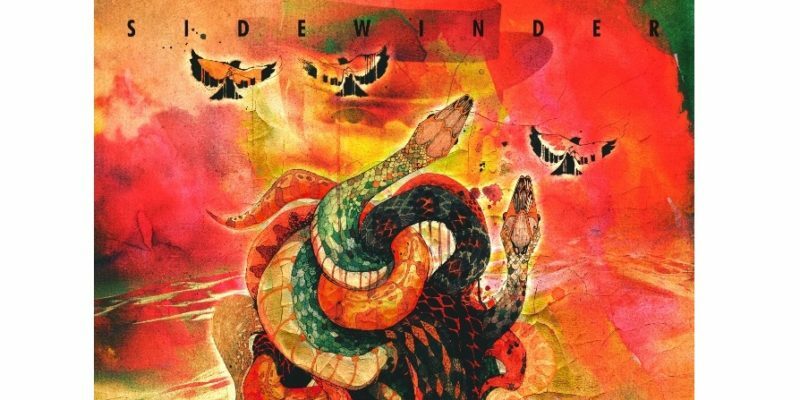 Matty T Walls’ album Sidewinder is a refreshingly hard-hitting collection that’s over-flowing with nostalgically infectious rock and roll rhythms and vibes. The instrumentally explosive Slideride kicks things off with every bit of vibrancy and colour necessary to raise your spirits and get you moving. The album’s title track follows and introduces the lyrical and melodic, thoughtful side of the artist. And the playlist continues to embrace and impress from here on in. Something Beautiful is an easy favorite, perhaps partly because its mellow, spacious groove stands out among its peers. Perhaps also for that high end melody that contrasts with the leading voice – there’s something immediately memorable and satisfying about the song’s hook and the verse pathways leading up to it. The infamous Change is Gonna Come pours through with a fresh perspective and a crisp, modern day twist – still holding close to that essential soul and emotion that first gave it so much power. Matty’s voice is stunning and more than capable of carrying the melody and depth of a song like this, and just about any other in fact. His vocals shine just as brightly when surrounded by the manic weight and distortion of rock and roll as when the ambiance is stripped bare. Can’t Stop Thinking is a seductive and authentic blues-rock offering that marks another personal highlight. Shake It follows and seems to fuse a flicker of Jimi with a few helpings of something more like Iron Maiden. The energy is superb and the fall-away from the distorted to the pure is done in a totally stylish manner. The simple hook and the riff quickly wind their way into your consciousness. Going Down comes afterwards and the same attributes seem to appear but with even greater brightness – an awesomely energizing song and a sure-fire moment of inspiration, particularly in terms of seeking out live shows from Matty and the band. The whole playlist that is the Sidewinder album is an easy choice for an hour of great vibes and skillful, passionate musicianship. Effectively utilising contrast also plays into this, arrangement-wise. Ain’t That The Truth, for example, is well placed at this fairly central point, it mellows things out and provides a moment of reflective calm, within which Matty’s voice seems so genuine and heartfelt. Sophia’s Strut follows and effectively re-lights the fire of classic, inescapable blues rock and roll. The guitar work is insanely good here, not for the first time, but again – contrast is so powerful; you really notice the level of skill here after the quiet that came before. Walk Out The Door injects a manic touch of jazz into the mix, the instrumentals feel like you’re driving through the desert with the roof down, maybe leaving behind a difficult past – moving on to better, more positive experiences. Leave It All Behind follows with acoustic delicacy but keeps that theme alive. The lyrics and the raw musical setting hold your focus on the leading voice – the poetry, the honesty. There’s something extremely real and captivating about these lines that pour through. At this point in the project the concept stands tall. Things come to a story-telling finish with the scene-setting, distorted weight and swagger of Mississippi Kkkrossroads – a song that made my dog start barking. This final track highlights yet another side to the artist and makes for a lasting reminder of the entertainment and eclecticism that is this album in full. An unexpected but mighty way to finish. Expect to catch him playing at festivals far and wide in the near future. Big things are on the way for Matty T Wall and his band. “I am like an elastic band pulled really tight, ready to go,” he says. “That’s how I feel about my music.” – Matty T Wall. Stream the album on Spotify. Find & follow Matty T Wall on Facebook & Twitter. Visit his Website for more information.